Historic Murphysburg Preservation, Inc. (HMP) will now celebrate another era of significance by highlighting its most notable businessman and philanthropist. On October 30 and 31, 2015, HMP’s newest event is, “Mr. Charles Schifferdecker, Remembered and Revisited.” Upon Mr. Schifferdecker’s death 100 years ago, he left behind a legacy for Joplin…most notably Schifferdecker Park. The question for today…did his ghost stay behind? After all, he did die at his Sergeant Avenue mansion the day before Halloween, just ten days after his beloved wife also passed at their home. Come and enjoy a reenactment of a bygone time with Mr. Charles Schifferdecker, the “Beer Boss Man.” Charles and Wilhelmina’s haunting portrayals will be seen at three venues over a two-day period spanning from 1876 to 1915. 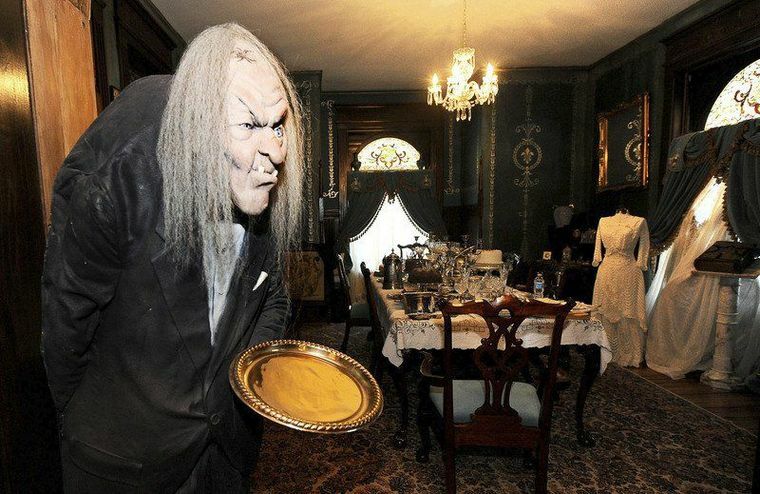 Friday, October 30 from 6:00 to 10:00 p.m. experience an exclusive opportunity to tour Schifferdecker’s at 422 South Sergeant Avenue Home, interact with costumed characters, be entertained by The American Opera Studio, partake in refreshments, view the elaborate Halloween decorations and more. There will be a limited amount of tickets that will be sold from 5:30 to 9:30 PM.